Welcome to the homepage for the Annual Gatherings of North American members of the Association of 16mm Narrow Gauge Modellers! 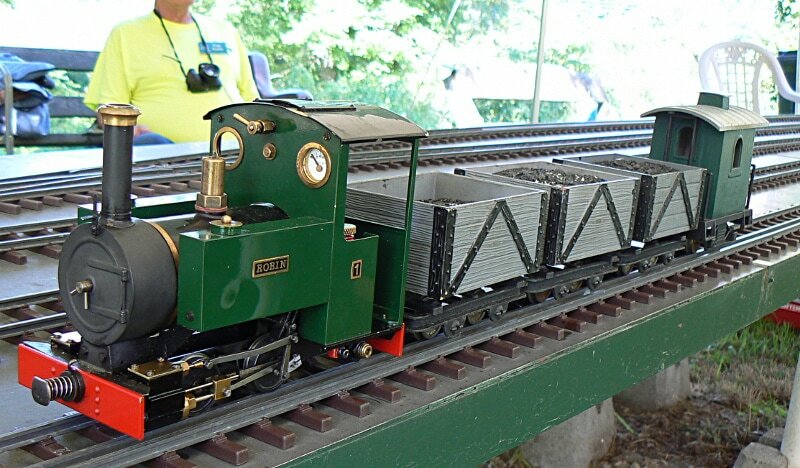 At our Gatherings we welcome all members (and their guests) who actively model in SM32 and SM45; we'll even allow some 7/8" scale trains to burnish our rails. Our first Annual Gathering was held during October 2017 in Columbus, Ohio. The 2018 Annual Gathering was held at the end of May in southeastern Pennsylvania. The 2019 Annual Gathering, also planned for the end of May, will be based in Hamilton, Ontario; and our 2020 gathering will be held in northern New Jersey. Click on the above links to view more information about each of these gatherings. This website is under continual development and content will be added regularly, so please check back often. Because we are a small group appealing to a minuscule niche in the global population, a Google search for our website may not turn us up; we just don't have enough hits to push our site to the top of the search list. So bookmarking our site is advisable.